If you’re flying into or out of New York City, there’s a good chance you’ll go through LaGuardia Airport (LGA). Named after New York mayor Fiorello La Guardia in 1953, LaGuardia Airport is located on the waterfront or two bays, offering travelers a beautiful sight. That is, if they aren’t too busy dealing with nerve wracking traffic and everything that goes along with trying to commute in NYC. Leave the stress behind – call Hamilton’s Limo and Car Service for professional LaGuardia Airport limo service. Our NYC car company has been around since 1996, and our drivers are professional chauffeurs that know how to provide a truly enjoyable, smooth, and safe ride anywhere in the New York City area. Whether you need us to pick you up at LaGuardia in a luxury sedan or a stretch limo, you can rest assured Hamilton’s Limo and Car Service will always be here for you. Our New York City limo and car service professionals are available all day, every day of the year if your ride ends or begins in our home area. If you are looking for someone to drive you to or from LaGuardia Airport and want to ride in luxurious comfort, give us a call today. You’ll be surprised how affordable a professional chauffeur actually with our NYC car company. If you are traveling to or from the airport for a special event, consider making a reservation for our professional limo service in NYC. There’s nothing quite like getting to your destination in the luxury of a limo. It just makes the whole day that much more special. That’s why taking a limo is so popular for events like weddings and proms. If you want to feel truly amazing, call Hamilton’s Limo and Car Service to reserve one of our limos today. To learn more about our services or affordable pricing, call our NYC car company today. You can also easily get a rate quote or make a reservation for limo service to/from LaGuardia Airport by filling out our online form. 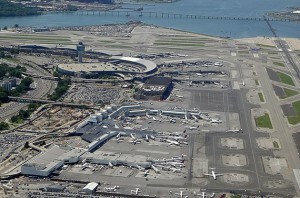 Want to learn just how affordable our car and limo services for LaGuardia Aiport are? Call Hamilton’s Limo and Car Service today for a quote! If you are looking for car or limo service for LaGuardia Airport (LGA), please call Hamilton’s Limo and Car Service at 862-520-7433 or complete our online request form.